A medical grade monitor is used in a setting that requires both high resolution imaging and low electrical leakage for patient safety. Sony has always been a leader in this area. Early medical grade models were large and boxy. They could weigh 100 pounds in some cases and presented a problem in surgical areas where space was limited. 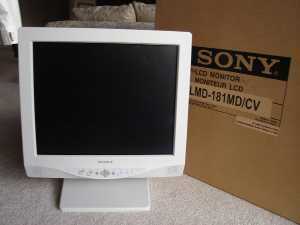 The Sony models that dominated this market were the PVM-1943MD, PVM-1343MD, PVM-1953MD, PVM-1353MD, PVM-20M2MDU, PVM-14M2MDU, PVM-20L2MDU and PVM-14L2MDU. These models are no longer in production by Sony and you will need to buy a refurbished medical grade monitor if you want one of these models. The refurbised models are available, but you still end up with a large heavy monitor to mount in your imaging center. A better solution is to upgrade to a light LCD flat panel medical grade monitor. Sony makes several models that will fit your specific needs. Some of the current models are the LMD-181MD/CV, LMD-2140MD and the LMD-1950MD. All the Sony medical grade models are available at Sonoma Health Products. CPR or First Aid Class?